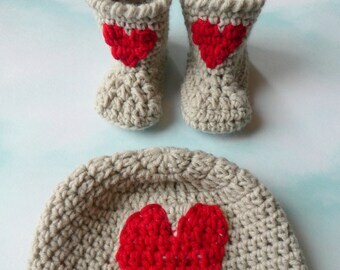 Create this gorgeous newborn baby hat and bootie set (0-3 month size) with this easy to understand pattern. 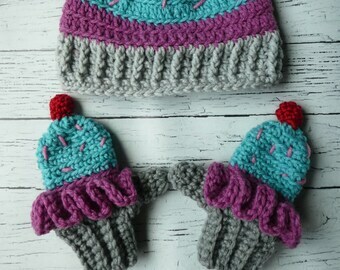 You will receive the pattern for both the hat and the booties. The booties are worked in the round so there is no awkward wandering seam running up the back. Simple and sweet, makes a great gift! Booties measure approx. 3 3/4″ in length and 3″ in height. 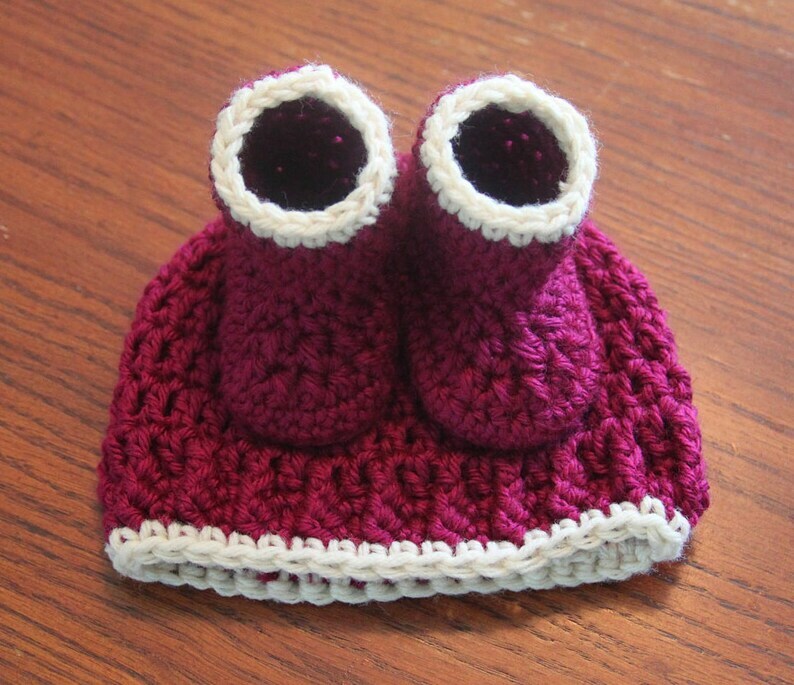 Size G hook is used for the booties and size J hook for the hat.